Back to Basics' book giveaway | Back to Basics Learning Dynamics, Inc.
Each year, folks from all over the East Coast look forward to the Winterthur Point-to-Point Steeplechase. The event annually draws a crowd of between 15,000 – 30,000, eager to see the thrilling horse races, the collection of vintage Rolls Royce automobiles, and the stunning traditional carriage parade, all while hosting tailgate parties that would make Martha Stewart proud. At Back to Basics, we love the pageantry of Point-to-Point, but we also look forward to the fun-filled event for another reason — the Kids’ Fun Hunt! This is our opportunity to share information about our longtime partnership with Success Won’t Wait, the Delaware-based literacy non-profit, and our shared mission to eradicate illiteracy. Oh… and we give away hundreds of brand new children’s books. Together, our two organizations worked hard to make this year’s event a huge success. 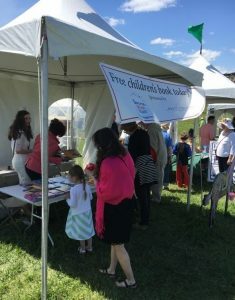 Our volunteers gave away over 700 children’s books and made dozens of contacts for upcoming events and book donations! To learn more about Back to Basics Learning Dynamics and its various community initiatives, click here. To learn more about Success Won’t Wait’s literacy projects, how to donate used books in Delaware, or volunteer your time, click here. Back to Basics Learning Dynamics is the undisputed leader in 1-on-1 tutoring in Delaware and southeastern Pennsylvania for over 60 subjects. 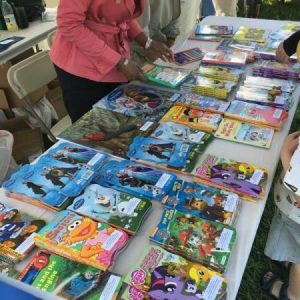 Back to Basics and Success Won't Wait partner to provide 500 children's books in "Reading is Basic" Title 1 program; Total now approaches 2,000 books! End-of-year report card blues? Delaware’s Back to Basics offers summer school and tutoring in 60 subjects for K-12!